We have a sew shop and some very talented seamstress. 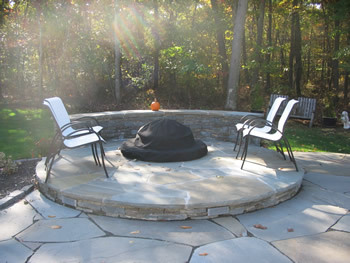 We sew up all types of fire pit and patio furniture covers and such. 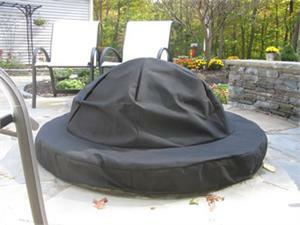 But fire pits we do a lot of covers. Most fire pit installers and retailers won't warranty your fire pit unless it's covered from the elements. Our covers are custom tailored to fit your application. This is not a one size fits all cover. 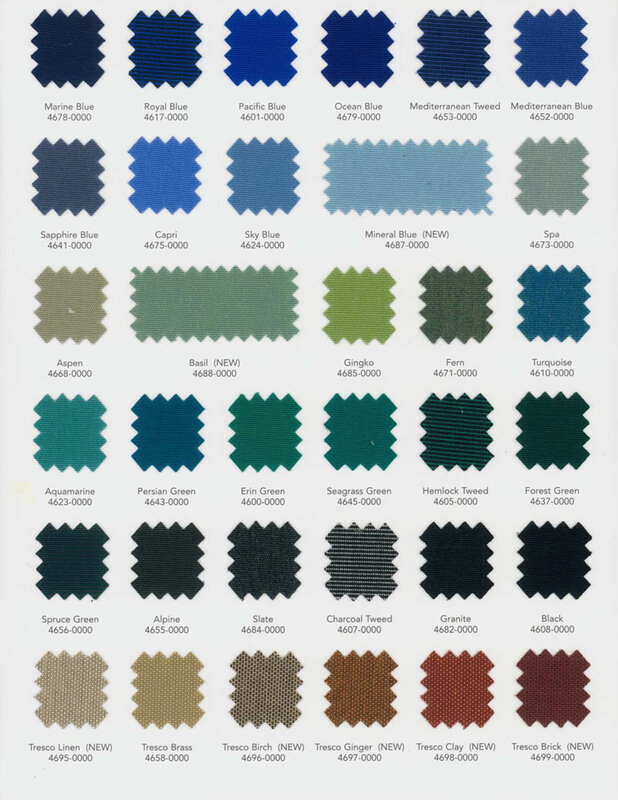 We primarily use THE CANVAS type of material made by Sunbrella but we do have other options available. 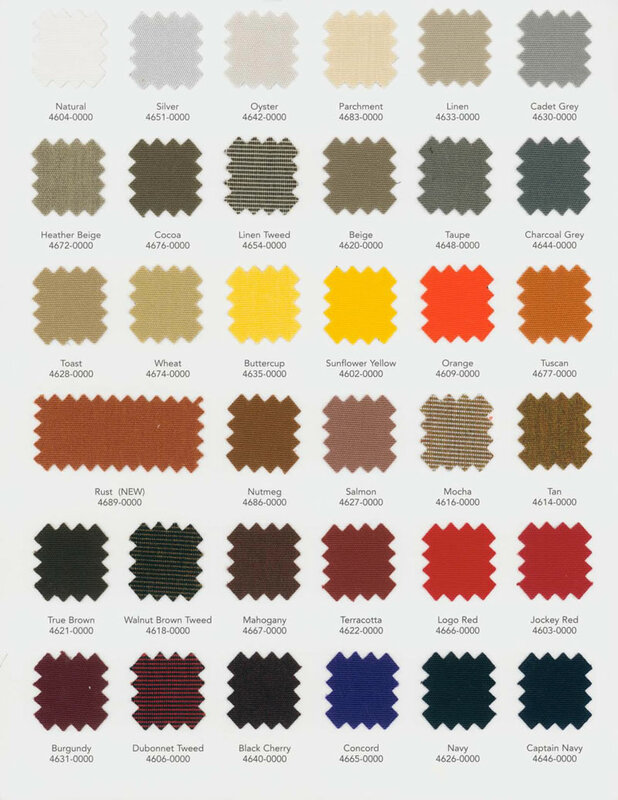 The application of The Canvas Material by Sunbrella is outdoor building awnings material. So we figured if it made good awning it'd make a great long lasting fire pit cover. The diagram below displays the measurements we need. If you don't have a screen then disreguard that measurement. We need actual measurements. Please don't add wiggle room. We do that here. Usually 2" on the diameter. We add nothing to the drape. We typically install several velcro cinches around the bottom to snug it up. Do you have a faux log set on top? Firure that as the "A" measurement. But let us know that it's a log set. We also offer to sew in a second layer of heavy fabric under the center of the cover so there is added protection from rubbing on the logs. Right below is a link that will take you to Sunbrella's website and the page your on is the colors avilable. We stock a lot but not all of them. So give a first choice and we can see what we have. Choose your color choice below. And call or text 817.946.9463 for any questions.